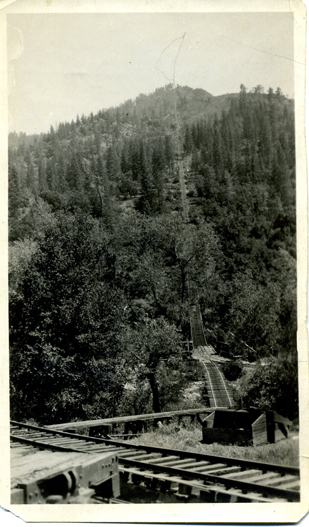 The museum’s Shay was part of the Yosemite Lumber Company and was used to transport logs from where they were cut to this incline near El Portal where the logs were transported down the incline to a landing where they were loaded on trains belonging to the Yosemite Valley Railroad. 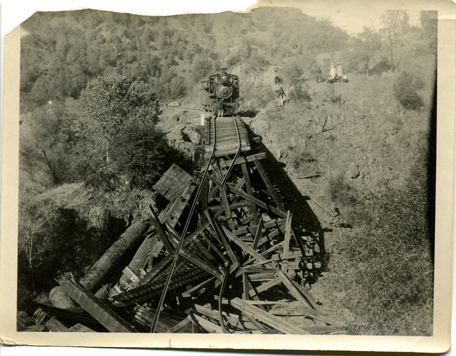 From there they were transported to a mill at Merced Falls where there was electricity generated that was used to power the mill. For good information about the incline and how it was used go to this commercial message about some lodging in the area. Shays have always been one of my favorite locos. When I retired in 1993, I drove back to Cass, West Virginia to ride on their shays. They have the largest collection of Shays anywhere, The State purchased the old mill there and turned it into a State Park. Beautiful country and a 13% grade really makes a great railroad. I drove fire engines in Los Angeles for a living but I always loved trains. Now I work at the Nevad State RR Museum(volunteer) in Carson City. 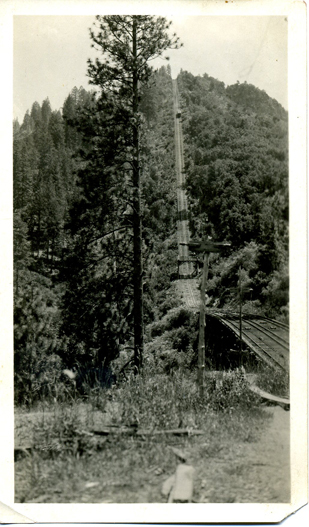 I rode bedhind the West Side Shays at Fish Camp(Yosemite), when they obtained the second one and had a railfan weekend. #10 and #15. It was awesome coming up the hill in the dark with the fireboxes lighting up the woods and six cylinders chuging and then the whistles blowing. Almost brought tears to my eyes. In 1994 I was back in Mt Pleasant, Iowa at their annual tracktor show. They have a narrow-gauge railroad there but I’m not shure how long it is. I was really surprised to see West Side #9 running there.